As Sri Lanka-Bangladesh trade continued its steady climb, a top Bangladeshi Minister recently issued a high level call for a speedier Free Trade Agreement with Sri Lanka, to conclude as early as next year. Yet another Sri Lanka-Bangladesh Working Group on Trade is also to take place in Colombo soon. 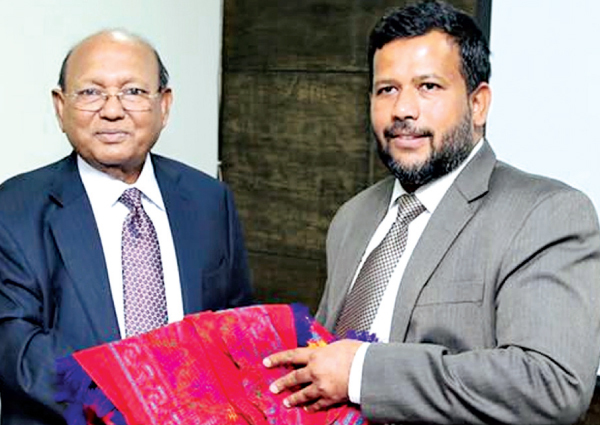 “Our present bilateral trade has been on the increase but the volumes are not so great,” said Bangladesh Commerce Minister Tofail Ahmed at a meeting with Minister of Industry and Commerce Rishad Bathiudeen, in Colombo, recently. High Commissioner of Bangladesh in Sri Lanka Riaz Hamidullah joined the high level discussion with Minister Bathiudeen. In the five-year period of 2012-2016, bilateral trade between Bangladesh and Sri Lanka surged by a strong 43% to $142 million (2016). Even YoY trade increased during this period every year: 2016 alone saw an 11% surge (from 2015’s $131 million). The first meeting of the Bangladesh-Sri Lanka Joint Working Group (JWG) on Trade was held in Dhaka in February 2014 and both sides agreed on feasibility studies for a framework arrangement to boost bilateral trade. The approval of the Sri Lankan Cabinet was granted in May 2014 and the feasibility study (Sri Lanka segment) was completed subsequently.